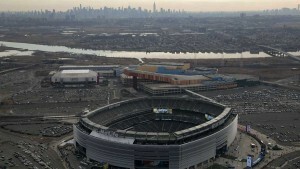 Dumbo Moving in East Rutherford? 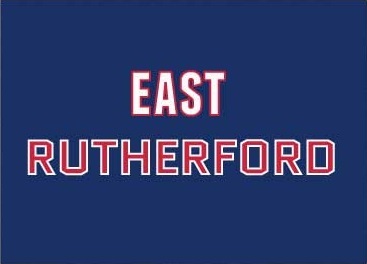 East Rutherford is a borough in Bergen County. It is situated 7 miles west of Midtown Manhattan, in the valley of the Passaic and Hackensack rivers. East Rutherford is fairly close to Manhattan, where a 30 minute train ride might seem like a blessing compared to some Brooklynites’ commutes. Due to very convenient position and the fact that East Rutherford is really attractive place for living and raising a family, Dumbo moving and storage movers are really busy in this area. There’s a variety of educational opportunities, which is a reason why families with young children are moving to East Rutherford. There are three schools in the city – McKenzie School, Alfred S. Faust School and Henry P. Becton Regional High School. Also, there are a few private schools: St. Joseph School, St. Mary’s High School, St. Mary’s Elementary School. Other than residents, there are some Asian and Hispanic communities. Dumbo moving and storage has a storage facility is in the heart of East Rutherford, so if you are looking for flat rate storage at an affordable price or for a quote give a call at (718) 222-8282. In East Rutherford you are likely to find cheap movers, or at least cheaper than in some other New Jersey areas. Moving to East Rutherford will allow you both an easy access to New York City and to its busy lifestyle, and a peaceful, family life in a small town. This aspect might disappoint the teenagers seeking constant entertainment and fun. However, the proximity of NYC allows you to attend various cultural and entertainment events. Despite being a small city, there are a lot of possibilities. Many of adult citizens are happily employed in professional, scientific or technical sectors. Public transportation includes trains and buses. There are two train stations: Rutherford station and Meadowlands station. Hudson Group, a retailer managing a chain of newsstands, bookstores, fast food restaurants originates from East Rutherford. Also, it is home to Management Dynamics and East Rutherford Operations Center – very significant companies in the area. A lot of small and medium-sized businesses stimulate the economy of the area as well. Once you move to East Rutherford and settle into your new home, start searching local restaurants, relax and have a pleasant time with your loved ones. Italian and Asian cuisine are very popular in the area. Some of the most visited locals are: Sorrento ristorante, Paisanos Ristorante, Park & Orchard Restaurant. Also, the pizza at Ralph’s won’t disappoint anyone moving from NYC. Sport fans are especially thrilled because of the MetLife Stadium, which is the home of the New York Giants and New York Jets of the National Football League.